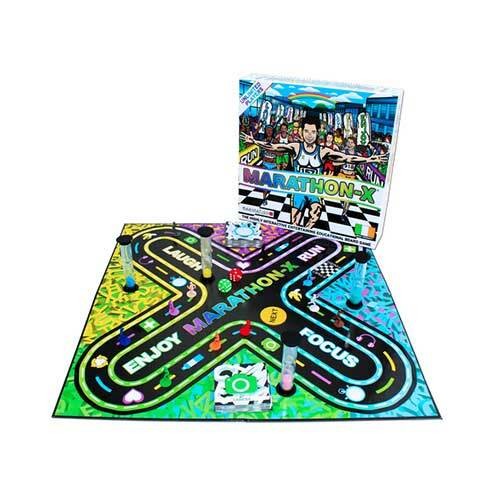 Marathon X board game is a highly interactive, educational and entertaining board game that challenges your ability to focus and react. The Marathon X board game is a highly interactive, educational and entertaining board game that challenges your ability to focus and react. The aim of the game is to finish the marathon in the highest possible position by over coming all the challenges along the way.